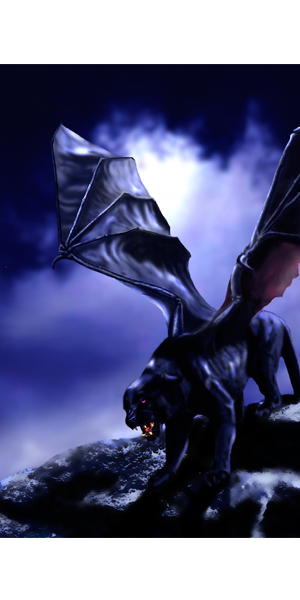 A sleek, black tairen perches atop the black, volcanic rock of the Feyls. In the distance, The Mother, Eloran’s largest moon, gleams through the veil of a cloud bank in a purple night sky. Night in the Feyls is a reproduction of an original digital image created by artist Heather Carr, based on the Tairen Soul novels of C.L. Wilson. 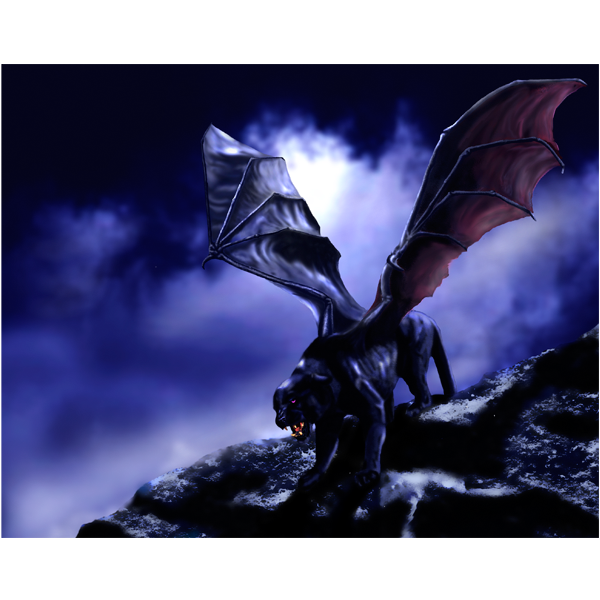 Tairen made their first appearance in LORD OF THE FADING LANDS, Book 1 of the Tairen Soul series.